As we enter the depths of summer, it’s becoming increasingly difficult to keep cool on the go. Oppressive heat isn’t just uncomfortable- it can pose a danger to you and your passengers. At our used car dealer serving NYC, we want to make sure you stay cool and safe in your vehicle. When many people hunt for a parking space, they’re looking for the closest one. In the summer, you should be looking for the most shaded spot, and then buy a sunshade for your windshield. High-quality sunshades will keep your car cooler, and they’ll also block UV rays, which can damage leather upholstery and fade the interior. When you return to your vehicle, open the doors for a few minutes to let some of the hot air escape. It may be tempting to pop open all the vents and blast your air conditioning when you get into a hot car, but try to avoid the temptation. As you drive your used car around NYC, crack open your windows and close the top vents. Then, turn the fan setting as high as it will go, and let the bottom vents disperse the hot air from the bottom and out of the car. As you drive, keep the cold air coming until your car reaches a livable temperature. Once you’re more comfortable, switch to the recirculation setting to keep the habitable air flowing through the vehicle. Your car will return to its preferred, far more friendly temperature in no time. If you’re not sure your vehicle can handle the burden of your personal comfort, find a car that makes quick work of it. 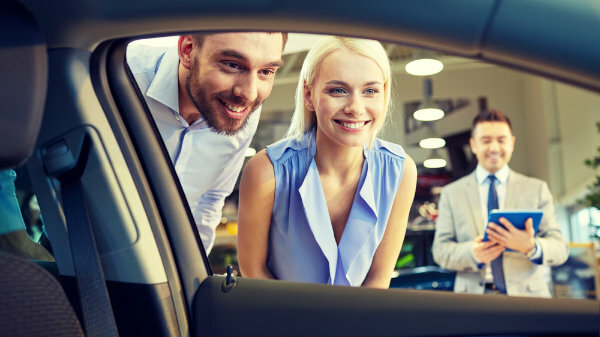 Visit New Jersey State Auto Auction to browse a selection of dependable vehicles with climate control systems you can depend on.